Today is the birth of Jesus Christ! 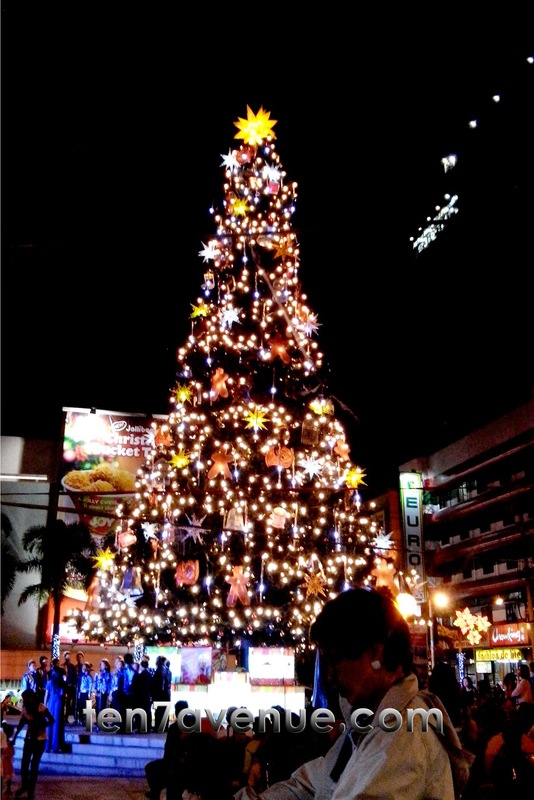 The Christmas tree has a star at its peak that shines towards the manger. The Christmas tree is decorated in a festive way to share the joy and excitement for the birth of Jesus Christ. People sing songs of festive carol to remind us about the season of love and giving. People celebrate and eat together to share in a table to have a feast remembering the birth of Jesus Christ. This food bazaar is situated at Araneta Cubao, Quezon City, Metro Manila where a lot of people pass by. It is a compound of many establishments and near to two train stations. 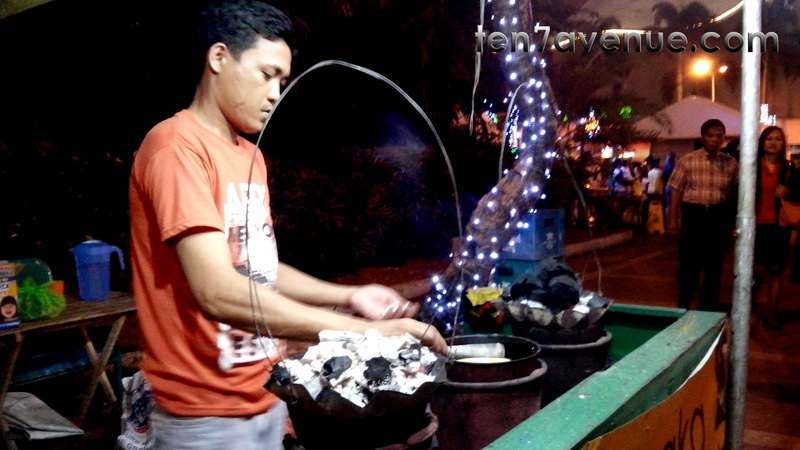 There are many food stalls in the vicinity showcasing variety of food. It is a variety from all time Filipino delicacies - such as the bibingka and puto bumbong - grilled food, stuffed pizza, sisig and others. 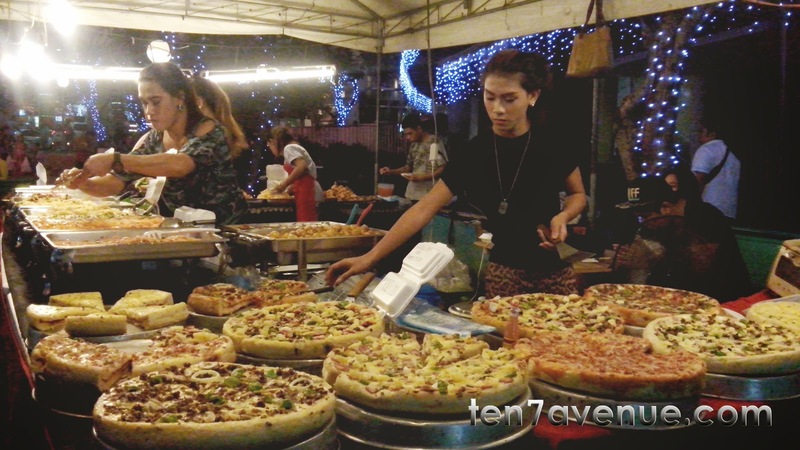 Walking around the food bazaar, here is a distinct stall of stuffed pizza. It is showcasing thick-dough pizza where at the middle of the dough oozes some stuffed cheese or hotdog. It is a creative idea that will surely fill everyone's tummy. It has variety of flavors, too. Along side this stall showcases pasta also. There is so much food in this bazaar. Not only the food but people also who stop and eat in this vicinity. It is really a festive community that celebrates the Christmas season. It opens a market for a less expensive food haven at the heart of Araneta Cubao. 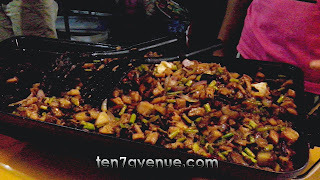 Enjoy the visit at www.ten7avenue.com.